DEM SENATOR APOLOGIZES FOR FUNDRAISING DURING PROF FORD’S TESTIMONY — SHE’S KEEPING THE MONEY, RIGHT? BARBARA STREISAND HAS A NEW SONG — WANNA GUESS WHO IT BASHES? MICKEY D’s REMOVES PRESERVATIVES FROM ITS BURGERS — WHAT DOES IT MEAN FOR YOUR HEALTH? 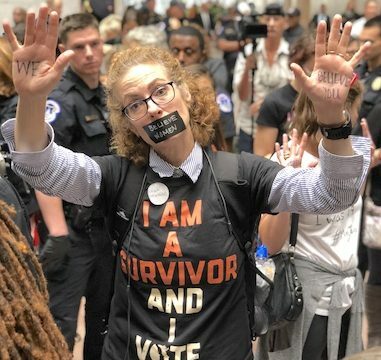 Previous Post:September 27, 2018 — Kavanaugh and Ford testify in DC today — Does anything else matter?